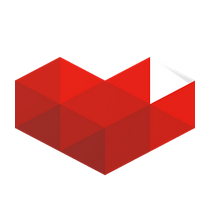 YouTube Gaming has finally shifted to live, directly competing against Amazon’s Twitch. Sure enough the platform has now become completely accessible as well as launching an official application for YouTube Gaming is now available for download. For those of you not familiar with YouTube Gaming, this is Google’s take on the live game streaming industry. While the focus is primarily on live streaming of gameplay, recorded content will also be available which includes past broadcasts, recorded gameplay, and Video on Demand. In fact all gaming related content currently on YouTube will also available from within YouTube Gaming. The idea is to make it as easy as possible to stream gameplay on YouTube Gaming, so that anyone who wants to do it can easily pick it up and go for it. For content creators, and most YouTube accounts, the button to Go Live should be up in the top right when signed into your account. The layout for the application is pretty much identical to the YouTube Gaming portal in browsers as well. Flipping between the two should be pretty easy once you’ve learned where everything is. One step Youtube Gaming may have over Twitch is that anyone with access to the streaming dashboard and monetize their stream, allowing the gamer to earn some money from their gaming experience. Twitch requires a certain amount of viewership before you can be partnered with Twitch, once down ads are used to generate revenue. With YouTune Gaming, as long as you can access the streaming dashboard, you can monetize your stream as well as enable Fan Funding cards.